One of the most anticipated Telugu movies of the year, Nannaku Prematho has released today on around 1700 screens across the globe, that includes 300 screens of overseas alone. The movie hit on pretty well number of screens in its dominated regions like Andhra Pradesh & Telangana. It features the very popular Tollywood actor Junior NTR in lead role and actress Rakul Preet Singh in opposite to him. His fans are showing immense craze towards his latest release, from a long time all were eagerly waiting for the day. Today from early morning, fans started celebrating the day as festival and their excitement can be seen outside theaters. 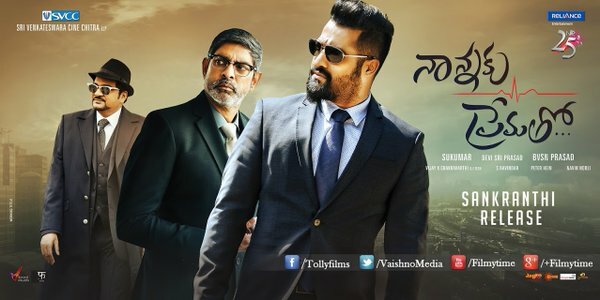 Being the year’s first big release from South Indian Cinema, audience showing too much interest on Nannaku Prematho. Most of the theaters in the states have marked all the shows of first day as houseful and next day tickets are selling like hot cakes. Today as expected the movie has started on an excellent note and getting very positive response from critics as well as audience across the country. In overseas too, it is showing commendable performance. After considering all the reports of advance booking and early morning response, Nannaku Prematho is expected to record the overall occupancy of more than 80% in India. In Andhra Pradesh & Telangana, opening day occupancy would be above 90% and is likely to collect approx. 18 crores* at Indian box office, that includes 13.50+ crores* from only AP/T screens.